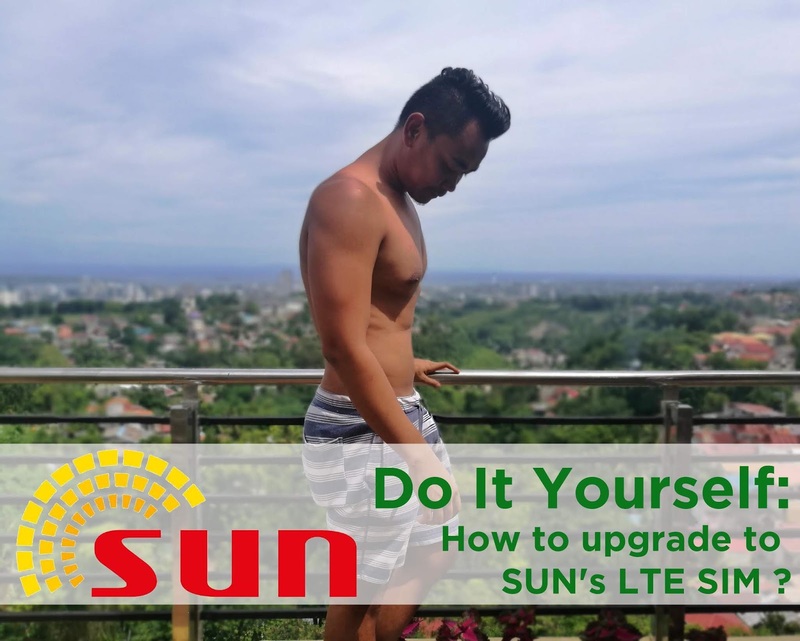 Do It Yourself : How to upgrade to SUN's LTE SIM ? Last year, my favorite network, SUN had finally upgraded to newest and fastest connection, LTE (Long Term Evolution) which allows you to surf the internet six times faster than usual mobile internet speed. And luckily, I was able to changed my SIM Card with the same mobile number by visiting the SUN Shop. But do you want to know what's really cool? You can actually "Do It Yourself"?! How? Check this out! 1. Open to all SUN subscribers with an active non-LTE SUN SIM. 2. Your area should be LTE-ready. Check this LIST. 3. Check if your SIM is LTE-ready. Just text SIMCHECK to 5832 for FREE to find out. 4. Visit GSMARENA.COM to check if your mobile phone is LTE-ready. 1. Using your old SIM, text ‘GETPIN' to 7927 for free. 3. 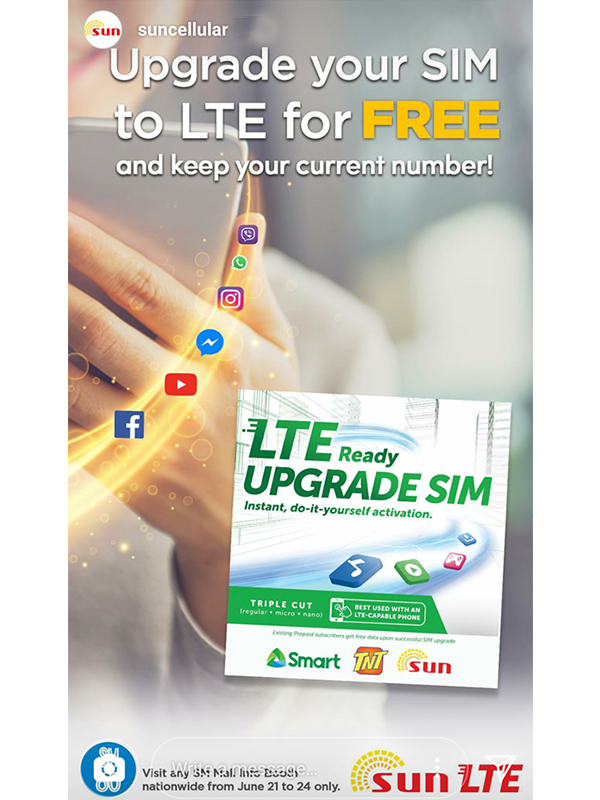 Insert the new LTE Prepaid Upgrade SIM in your mobile phone. IMPORTANT NOTE: Visit to any SM Mall Info Booth nationwide from June 21 to June 24 to buy your LTE Prepaid Upgrade SIM. For more inquiries, check this link. 4. Wait for the menu to appear and enter the UPGRADE PIN. The code is valid for 30 minutes only. 5. A prompt will appear and indicate that the upgrade code is valid. 6. Keep the phone IDLE (not used) for 15 minutes to ensure successful menu update. 7. You'll get the notification on your successful upgrade. Your old mobile number will be retained. 8. Restart the mobile phone.